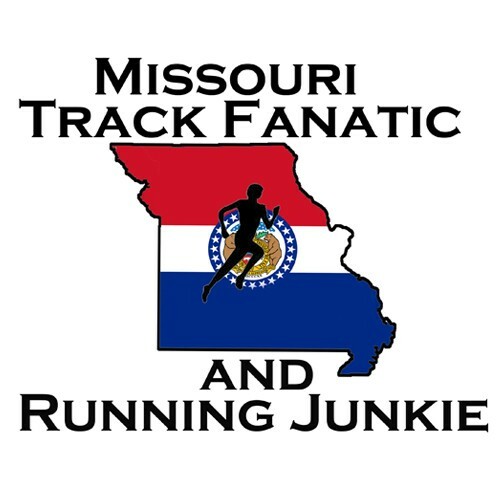 Five Missouri natives and one Missouri collegian will put on Red, White, and Blue uniforms this weekend to represent the USA at the 2017 Pan-American Junior Track and Field Championships in Trujillo/Lima, Peru. The four men and two women earned spots on the US Team with their top-2 finishes at the USA Track and Field Junior Championships last month in Sacramento. The meet was held for the best under-20-year-old athletes in the country. The Pan Am Junior Championships is held every-other year for the top under-20-year-olds in the western hemisphere, while in opposing years, the top under-20 athletes get to compete at the World Under 20 (Junior) Championships for USA Track and Field. These six are some of the top high schoolers and college freshman in the country that don’t turn 20 until 2018. It appears the standard time in Peru is the same as Central Day Light Savings time in the U.S.
Taylor Werner 3k July 21 4:05 pm CT Bloomsdale, Missouri Ste. Genevieve High School ‘16 University of Arkansas One of the best distance runners in Missouri High School history. Many-time state champion distance runner and 4x High School Cross Country All-American. At least 4x team champion in cross country and track. 3x Gatorade Missouri Cross Country athlete of the year, and 1x Gatorade Missouri track athlete of the year. Had high school bests of 2:13 in the 800m, 4:44 in the 1600m and 10:19 in the 3200m. Placed 16th at 2016 NCAA Cross Country Championships for All-American Honors Selected for USATF Jr Team at Great Edinburgh Cross Country Meet in UK last January, placing eighth in the multi-country meet. Posted a 9:06 3k time indoors to qualify for nationals, Won the SEC Indoor 5k, at NCAA Indoor Champs: subbed in to run 4:37 1600m leg of DMR to help team place 11th when two other teammates advanced to mile finals, then placed 14th in 3k. Ran 15:51 5k outdoors, took 2nd in SEC 10k in her first try at distance, to former HS rival and fellow HS All-American Jamie Kempfer (Festus/Mizzou). Placed 22nd in 5k at NCAA Outdoors. Won USATF Jr 3k in 9:35. This will be her second USATF Team this year and overall. One of Lafayette High School’s “Fab Four” that captured the the 2014 and 2015 State Class 4 Cross County Titles and made it to 2nd in the national team rankings in 2015. 2015 Class 5 1600m State Champion with PR 4:11.58, Member of 4×800 State Champion squads in 2015 and state record 2016 squad that ran 7:40, Workhorse for 2016 Class 5 State Track and Field Team Champs, taking 3rd in the 1600 and 3200, and 4th in the 800 as well as the 4×8 title. PR’s of 1:55, 4:11, and 9:19, all of which came during busy state meets, so not fresh for any of them. 2x All-Stater in Cross Country with 10th and 5th place finishes in 2014 and 2015. Red-shirted cross country and outdoor track as OSU freshman. Posted indoor bests of 2:30 for 1k, 4:07.65 for mile, and 8:17.72 in 3k. Placed 9th in Mile and 10th in 3k at Big 12 Indoors. Finished 7th in Junior race at USA Cross Country Championships in Feb and ended up getting spot on 6-man team for World Jr Championships in Africa in March where he Placed 59th/105, fourth on team in 26:29 for 8k. Took second in USATF Jr 5k in 14:27. Like Werner, will be his second Team USA appearance this year. Sprint and hurdle star for the Raytown South. Missed Domenik Peterson’s Missouri high school state meet record in the 400-meter prelims at the 2016 state meet by 1/100th of a second with a 46.82. Looks like he may have overall state 400m record with a 46.71 at 2014 AAU Junior Olympic Games. Won the 2015 & 2016 Class 4 400-meter titles. Won the 2015 Class 4 300H, has PR of 37.40. Placed 4th and 5th in the Class 4 200m in 2015 and 2016, PR of 21.65 Won the 2014 AAU Junior Olympic Games 400H with 52.19. Qualified for USATF Jr Championships in 2016, advanced to final, but didn’t race in the final. Ran a World Top-5 mark at the time in the 400 at the Stanford Invitational with 45.32 this spring to gain world attention. Won the California Community College Athletics State Championship in the 400, 400H, and 4×400, leading the College of the Sequoias to their first team championship. Ran 49.51 to win 2017 USATF Jr 400H. One of the state’s best multiple-event athlete in track and field while competing for Class 4/5 Waynesville. Many-time All-Stater. Captured the Class 5 100 hurdle title as a senior in 2016 with PR 14.19, second in the 300H with PR 42.87. Cleared 5-4 for high jump PR to take 4th at state as a senior. Took 4th at Big 12 Indoors in the pentathlon with 3,758. Took 3rd in Big 12 Outdoors Heptathlon with 5251 points, narrowly missing an NCAA berth. Placed 26th in NCAA West Regional Long Jump, and 37th in 100H at West Region. Now has PR’s of 13.61 in 100H, 20-4.25 in LJ. Won the USATF Jr Hepathlon with 5266 points to make her first USA Team. A great All-State athlete for Blue Springs in all three jumps: high, long, triple, after he was done posting big dunks on the basketball court for the Wildcats. Had personal high school best of almost 50-0 in the triple jump and 24-1 in the long jump. Brother Deiondre’ Hall plays cornerback in the NFL for the Chicago Bears after college at Northern Iowa. Drastically improved in the long jump this year in college, going from a high school best of 24-1 to a 25-7.5 legal jumper who posted a wind-aided 26-3.5 mark. Improved high jump PR to 6-8 as a freshman this year, while also going 49+ in the triple jump. Placed 6th and 5th in the long jump at the Big 12 Indoor and Outdoor meets. Placed 4th at the NCAA West Preliminaries in the long jump with a 25-7.5 to qualify for his first NCAA meet. Placed 12th at NCAA’s with 24-6.5 mark, then second at USATF Juniors with a 24-9.75 to winner Ja’Mari Ward. One of the best high school horizontal jumpers in US history. He’s sixth all-time with a 53-7.5 triple jump, and 10th in the long jump with a 26-1.5. After making the US Jr team last year for the world championships in Poland, he won the prelims with his 26-1.5 jump, then placed 6th in the next day’s final, where preliminary marks don’t transfer over. Older brother La’Derrick became NCAA All-American long jumper at SIU-Edwardsville for coach Iliyan Chamov. Chamov, now at Mizzou, recruited and now coaches Ja’Mari. La’Derrick is a volunteer assistant for the Tigers, and captured the USA Senior Indoor Long Jump title last winter. Illness slowed Ja’Mari this winter as he redshirted, and jumped unattached once or twice. Outdoors, injuries hampered his freshman season. Ward did go over 50’ in the triple jump, and he captured the SEC long jump title with a PR 26-8.25 mark, which puts him fifth on the World Under-20 list this year. The injury bug kept Ward from competing at NCAA Regionals and thus nationals, but he was back healthy for USA Jrs, where he won with a 25-7.5 mark, to make his second US Team. Best of luck to the six. I’m sure they will represent #TeamUSATF and #TeamMO well.